Bollywood Actress Aditi Rao Hydari wearing an Off Shoulder Strapless gown designed by Urvashi Joneja. 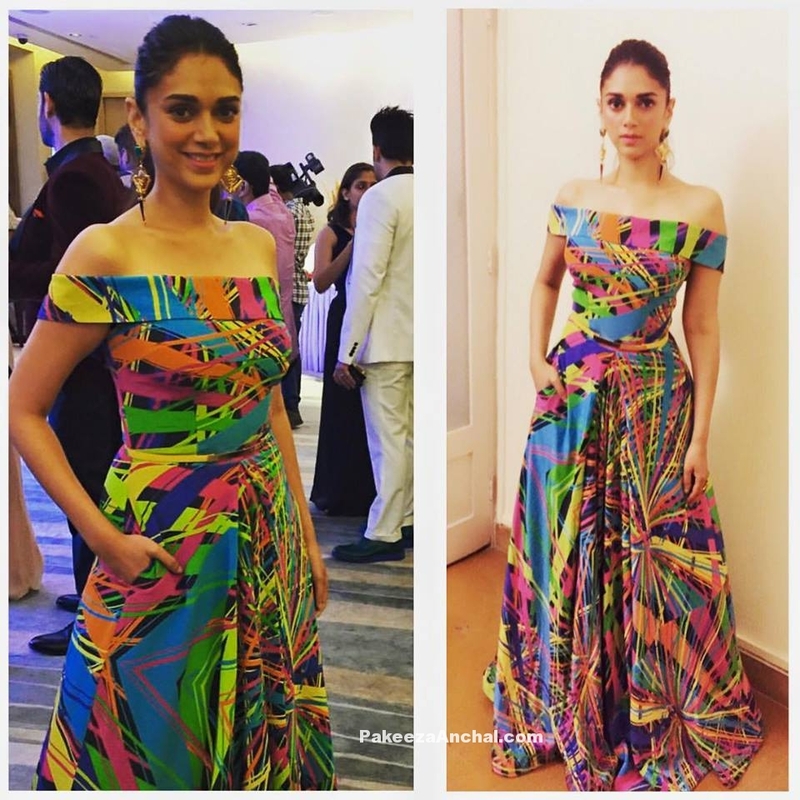 Aditi Rao Hydari wore this mulit-colored long dress when she attended the Elle Beauty Awards 2015. She paired it with a Outhouse earrings and hair in a ponytail. Tollywood Actress Tapsee Pannu smiling at SIIMA 2015 Press Meet. She was wearing a stylish White Off Shoulder Dress with a Black artistic print and a thin waist belt with a white neck design. With a stylish Hairdo she looked awesome in Black & white printed outfit designed by Urvashi Joneja.